Dennis is always the first one at the office – a testament to his strong work ethic and no nonsense approach to handling cases. "You are not going to get a good result for your client if you don't put the time required into their case." Dennis attended Trinity College and then went on to law school at UCONN. After law school, Dennis began his career defending clients in personal injury claims. Eventually he joined Kennedy Johnson D'Elia & Gillooly and shifted his focus to representing injured clients in both personal injury and workers' compensation claims and continues this practice up through the present time. Dennis has tried numerous personal injury cases and has handled countless workers' compensation claims. As a result of his experience, many area lawyers refer their cases to him based on his well deserved reputation. 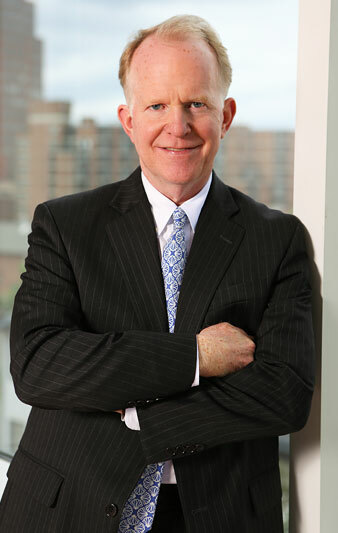 He has also served as an arbitrator and mediator in the Connecticut Superior Courts, and has served in the same capacity by agreement of other attorneys. When he's not toiling away in our office you will probably find him on the golf course – or, more likely, watching his kids participate in sporting events.